We made it free & easy just for you. Images contained tons of information also known as metadata. Find out what Ghiro did. Despite numerous tools exist to perform forensics investigations on images, they lack features and are generally buggy. This site is meant to address these issues and offer a stable and reliable service for forensics investigators and security professionals. Forensic techniques all-in-one: Deliver the main image forensics techniques in one application. Privacy: The uploaded photo and reports are private. The report is accessible only with knowledge of its direct link. Free: Give out the application free for all, without advertisements. Non disclosure: Keep analysis data strictly private. No data sharing, no analysis sharing. The code that runs this site is available under an Open Source license. With more features and more great power, check it out Ghiro at: http://getghiro.org. 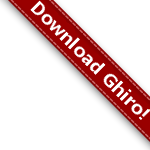 Ghiro is available in appliance ready-to-start too! Images hide metadata and information, are your sure your pictures are clean? Browser upload: use the image upload form in the homepage. Select the file to upload and start the analysis. You will be immediatly redirected to your image analysis. The analysis results are private, the only way to reach it is know the URL. Faithful usage: please don't overload the site with too much requests. The service is provided for free to you, but someone have to pay for server hosting, so the site havn't got so much horse power. Hardware is not free (see support section). If you plan to generate a bunch of requests, please write me before. Abusers will be banned to preserve the service availability. Images and analysis are stored for 7 days, after that you have to resubmit it, so link for an analysis expires after 7 days. A simple REST API is provided for automatic usage. You can develop your automatic submission tool on top of that. You need a private instance for photo forensic analysis? Get Ghiro! Any kind of feedback is always welcome. To support this site, you can click on the Flattr button on the right. Any help is really appreciated! This service is provided for free, but real money is needed to pay bills.